If you live near Camberwell you would be well aware that there are many good quality Thai restaurants within a close proximity. You might not be aware that one of the best Thai restaurants is located inconspicuously in the Dan Murphy's car-park in Camberwell. 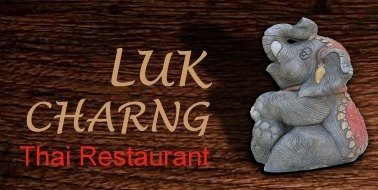 Luk Charng, meaning baby elephant in Thai, is an authentic, high quality restaurant that delivers sizzling service in every aspect. The food ranges from $15-25 dollars with high value for money. The restaurant is set in a rustic, minimalist style interior with an essentially open kitchen. The ambience is warm and is perfect for couples or large groups. Bookings on Friday and Saturday nights are essential as the seating is limited. Highlights of the Luk Charng include the Red Duck Curry, which is succulent and tender. The red and yellow curries are reasonably spicy by most western standards. The vegetables are smothered in delicate and tangy sauces, which are simply mouth-watering. The service is generally very good and personalized. Being close to the Rivoli Cinema in Camberwell also is a huge drawcard for Luk Charng and is the ideal place for dinner before a date. If you are after high quality Thai or looking for a place to take your partner for a date, look no further than Luk Charng.